READY NOW! New Construction! Brand New Floor Plan! 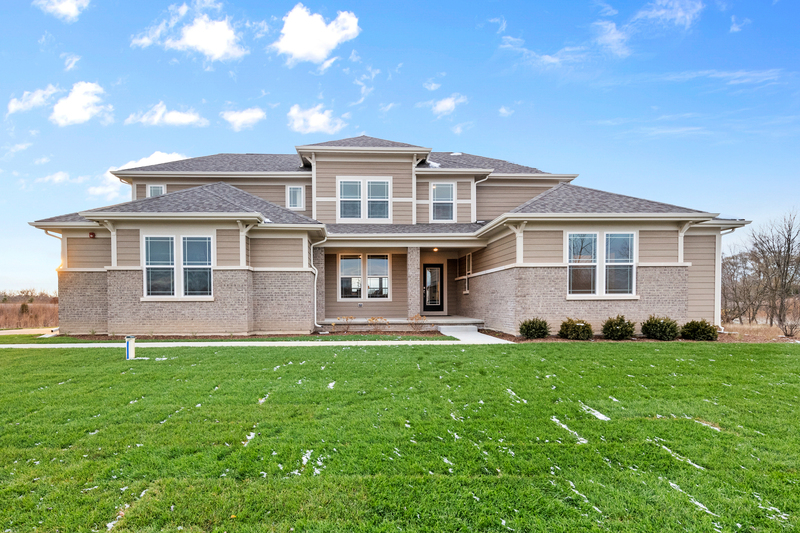 This beautiful Wright design is the first of this plan to be built in the community. This home boasts an open design with 4 bedrooms plus a loft space, including an owner&apos;s suite and guest bedroom on the first floor. Upon entering you&apos;ll be greeted by a wide foyer & beautiful oak staircase with iron spindles. The open family room offers a cathedral ceiling, beautiful fireplace, and 2-story windows. The open L-shaped kitchen with large island includes upgraded cabinets, SS Built-In Monogram Appliances, quartz countertops and so much more! This is a must see design with an amazing outdoor covered living area. The home also includes a full English basement! Private rear yard.